The Oxford Street branch of HMV is closing down, it’s been announced. It’s one of 27 branches of the music and entertainment retailer due to close down after the chain was bought out of administration by Canadian retailer Sunrise Records. HMV’s first ever store opened at 363 Oxford Street in 1921, before moving to a larger store at 150 Oxford Street in 1986. It’s been back at its original home since moving again in 2013. 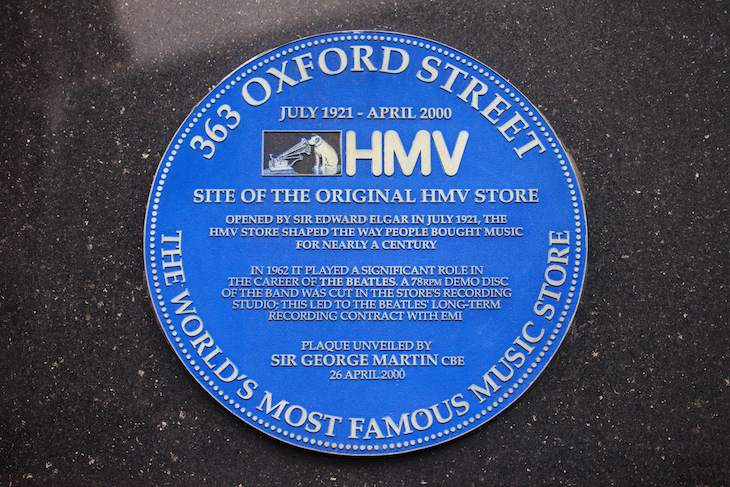 The history of the ‘world’s most famous music store’ is commemorated by a blue plaque on the exterior of the building. Other London branches due to close include Wimbledon and Westfield London (Shepherd’s Bush). It’s not yet known when the stores will close, but we recommend stocking up on your boxsets and Batman posters sooner rather than later.